GearGuyd > Cool > Lego Shuttle Adventure is Out of This World! Lego’s Shuttle Adventure is completely and utterly fantastic. 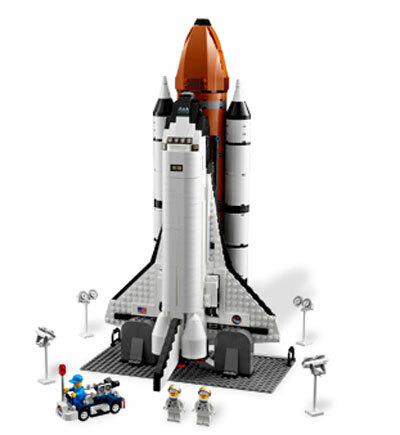 NASA is expecting to formally end the space shuttle program in February 2011, so Lego sought to commemorate the even with this model. At 1204 pieces, I was able to put my the shuttle model together in two nights. For some reason, Lego did not seek or was not granted approval to use official NASA logos and trademarks. Despite this slight disappointment, the Lego Shuttle Adventure is a great model for advanced (and adult) Lego builders/collectors. You can purchase it from the Lego store directly for $100, but once it’s discontinued, your only option will be to pay the ridiculous rates of hoarders. « Mrs. Renfro’s Habanero Salsa – mmm Delicious Hotness!